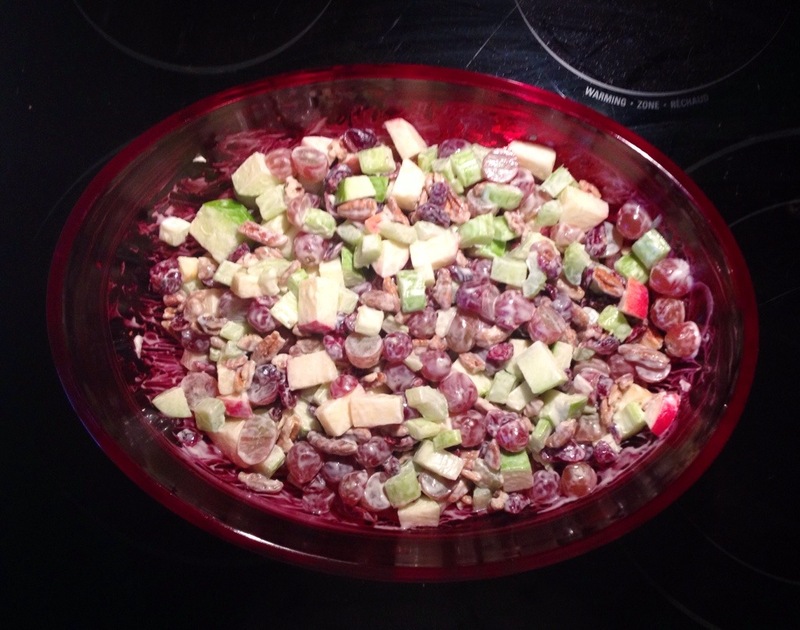 In a medium sized bowl, whisk together the mayonnaise, vinegar and sugar. Add 1/4 teaspoon of salt, 1/4 teaspoon of fresh ground pepper. 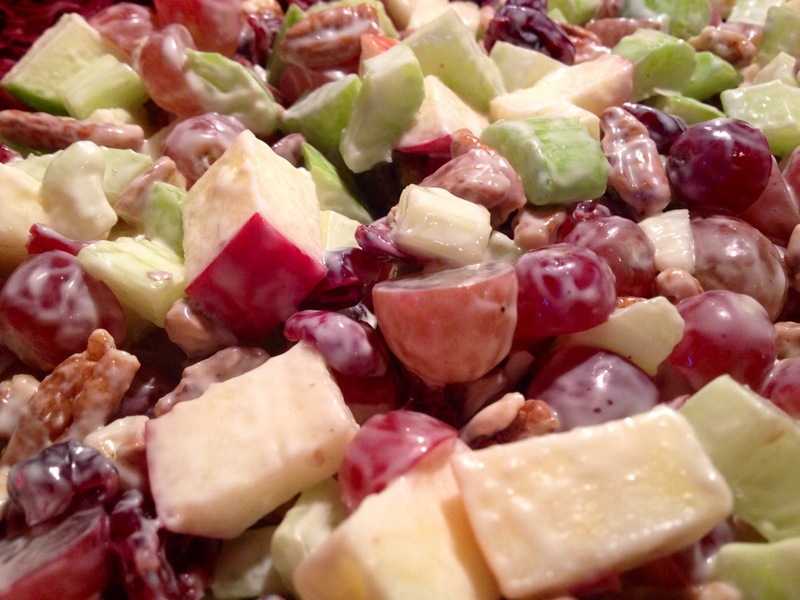 Mix in the apple, celery, grapes, cranberries and pecans.